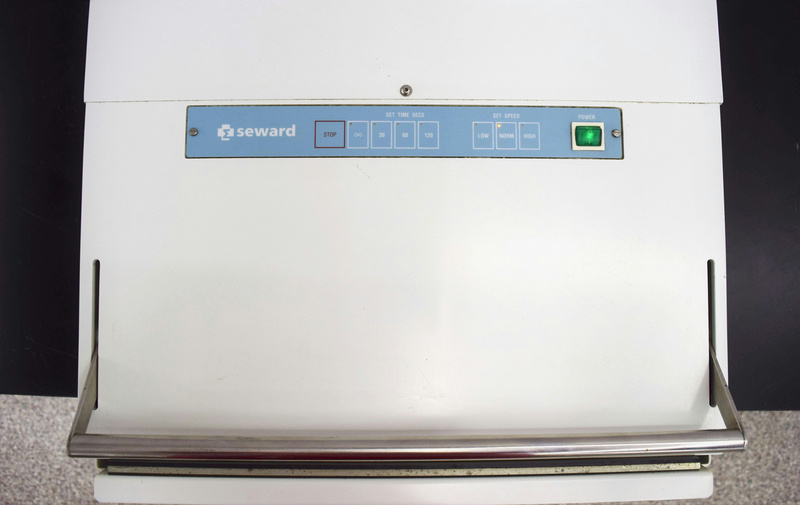 Seward Stomacher 3500 Laboratory Stomacher Paddle Blender Model BA7022 . New Life Scientific, Inc. The Stomacher 3500 is used where large volume blending is required. The Stomacher process is rapid. No need to sterilize blender cups and blades. Simply discard the bags after use. Most samples can be blended in 30 to 60 seconds. Bacteriological samples of meats, pastry or dairy products are ready within 1 to 2 minutes. Our on-site technicians visually inspected and ran the equipment on all settings at different times. This is in great working condition and no problems were found during testing.